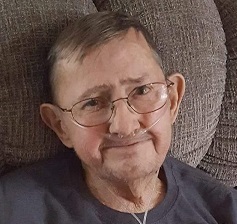 Damon P. McManaway, 78 of Glouster passed away Sunday January 27, 2019 at his residence. He was born June 21, 1940 in Hocking County. Damon was formerly employed by Peabody Coal Company and retired from Walmart in Athens. He was a member of the Glouster Eagles and enjoyed fishing. He is survived by his wife, Carol Kamento McManaway of Glouster; children, Christa (Keith) Grady of Athens, Damon (Lisa) Mitchell of Glouster, Damone (Bruce) Gardner of Jacksonville, and David McManaway of Columbus; 2 grandchildren, Shasta and Damon Mitchell; and 4 great grandchildren. He was preceded in death by his father, Pearl “Gig” McManaway; his mother, Nora Irene “Rene” Brown McManaway; a brother, Marion “Shake” McManaway; a son, Damon W. McManaway; and several nieces and nephews. Funeral services will be held at 1 p.m. on Thursday January 31, 2019 at the Morrison Funeral Chapel, Glouster-Bishopville. Interment will be in the Maplewood Cemetery, Glouster. Friends may call at the funeral home on Wednesday from 5 to 8 p.m. A comforting message may be sent to the family at www.morrisonfc.com.